Same pic, different captions. . Wallpaper and background images in the Critical Analysis of Twilight club tagged: twilight harry potter edward cedric funny caption. A comedy about Vampiri#From Dracula to Buffy... and all creatures of the night in between. Glitter Glue Vampiri#From Dracula to Buffy... and all creatures of the night in between. Epic fail o epic win? 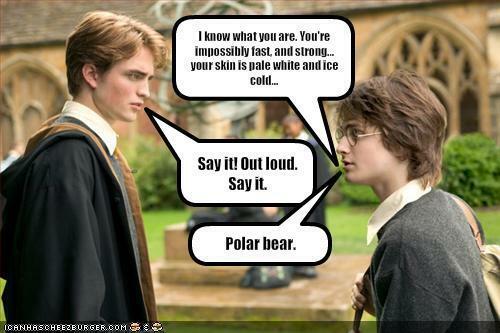 XD HAHAHAHA, 100 points for Griffindor. omgee! that made me fall off my chair! How Twilight could have been Great.